The nerd mecha that is San Diego Comic Con is less than 2 months away and the tension is growing. The bloggers are busy scooping rumors, studios have begun to make some announcements, and I am prepared to spend four days waiting in line. I love it! With the Matty Collectory Presale (June 4) around the corner, I thought I would take a look at my top 5 most wanted exclusives. As a father of two who has established the norm that my kids can each choose one exclusive for me to bring home, I will talk about their selections first and then move to the top 5. 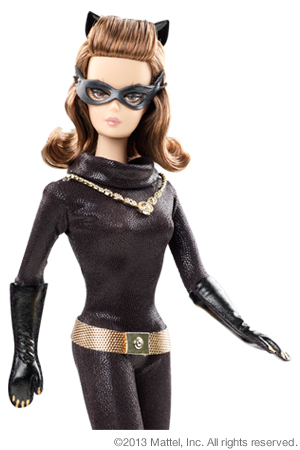 In not too shocking news, my three-year old daughter wants the Catwoman Barbie doll from Mattel. I try to encourage them to select from Mattel because of the ability to preorder. With a lack of Polly Pockets this year, it is none too surprising that she was swayed by the Barbie. I think she made a good choice. 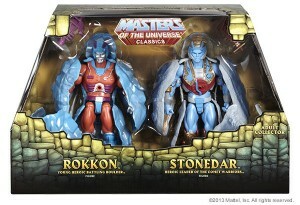 Keeping with his love of Masters of the Universe, my five-year old son selected the two-pack of Rokkon and Stonedar. These figures have removable panels for when you want them to either be an action figure or a rock and look great. I think he also made a wise decision and I hope the presale treats me well. 1. Chew #35 variant - I am a huge fan of Chew from John Layman and Rob Guillory and they have delivered again. While Layman was originally hesitant to go with another homage to Tarantino, I am happy he trusted Guillory to deliver what is sure to be a sell out. I just hope I can make it to the Image booth before this beauty sells out. 2. 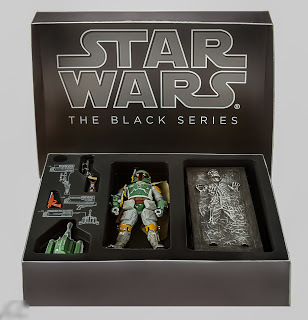 Star Wars Black: Boba Fett with Han Solo in carbonite - When you combine the wordsexclusive, Star Wars, Comic Con, and Boba Fett you have something that people will be interested in. Given the high quality of packaging that Hasbro is known for and the amazing photos of what this toy looks like, it is high on my list. 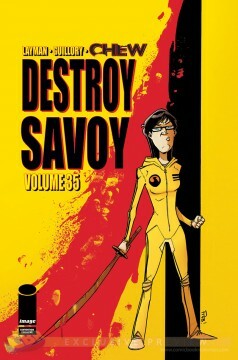 The only problem facing me is that I don't have the patience to wait in the line to score this before it sells out. 3. 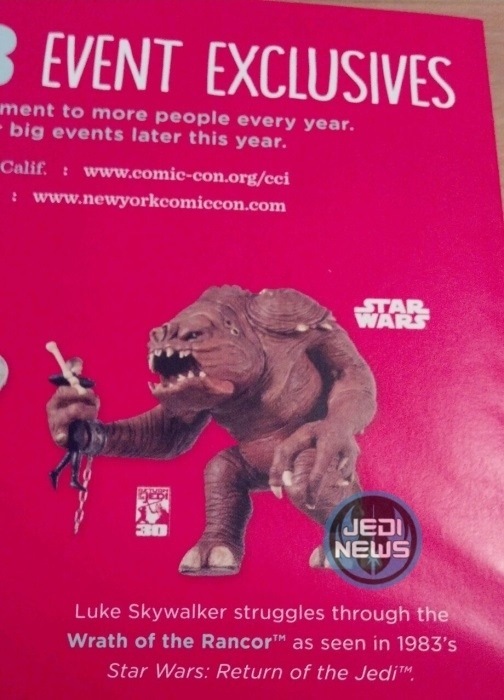 Wrath of the Rancor - Hallmark has well established itself as a mainstay at SDCC. The line for its exclusive ornaments wraps around the side of the floor beginning on preview night and the booth is buzzing throughout the convention. If I am fortunate enough to make it through the line before this is sold out, then the Wrath of the Rancor will be mine. I am always a fan of Star Wars ornaments, and if you add in the quality that Hallmark produces with the exclusiveness that nerds love, you have a winner. 4. 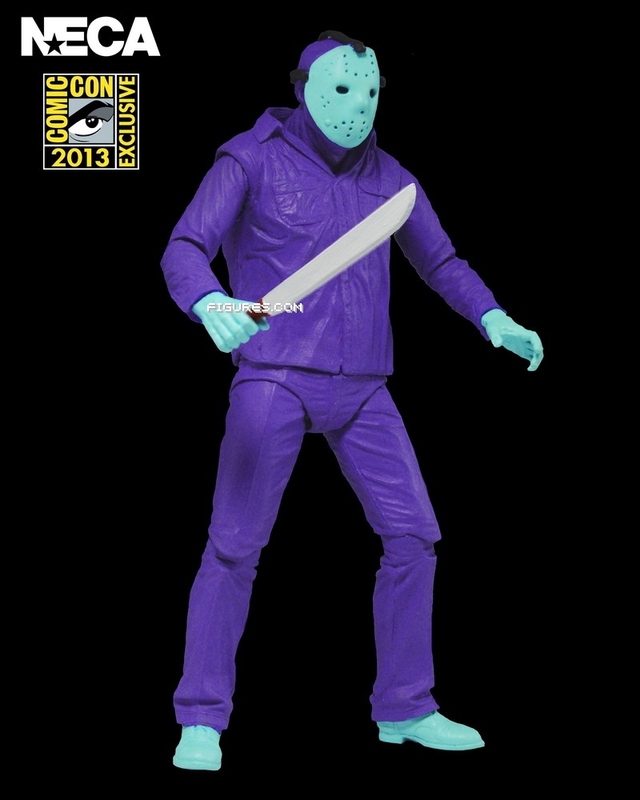 Jason from the NES "Friday the 13th" game from NECA - I love the retro feel and creativity that NECA took in this figure with very distinct coloring. A fan of both the movie and the game, this would be a great toy to add to any collection. 5. 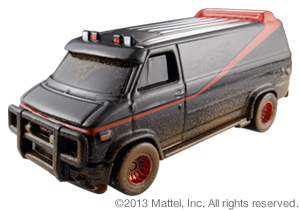 Hot Wheels® A-Team Custom GMC Panel Van - The fans at Comic Con go crazy for the exclusive Hot Wheels® and this one warrants enough nostalgia to catch my attention. The notion of playing A-Team with my son is something that I haven't quite wrapped my head around. I think I will try to pick this one up.